Imagine printers that print shoes”, sunglasses, audio speakers, and even print a drivable electric car !!! 3D printers have been around for a while but its only recently that the technology has scaled up to an extent to create real excitement. A technology where liquid or powdered polymers are substituted for ink. Sprayed in layers, the plastic forms a 3D shape. While currently 3D printers are being used mostly industrially and in a preproduction process –a lot of companies are now using 3D Printers to make final products – from chocolates and cheese to shoes and cars –it’s all becoming simply Printable! Just 2 days ago researchers at the University of Cambridge have 3D printed eye cells !! While still a long way to go -the hope was one day to build retinal tissue for people suffering from degenerative diseases of the eye. 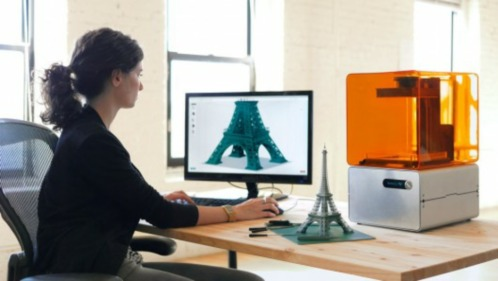 2014 onwards will see 3D printing evolve from monochrome to multicoloured, from monomaterial to multimaterial to a time when there will be a 3D printer in every home It’s being touted as the next big Industrial Revolution.